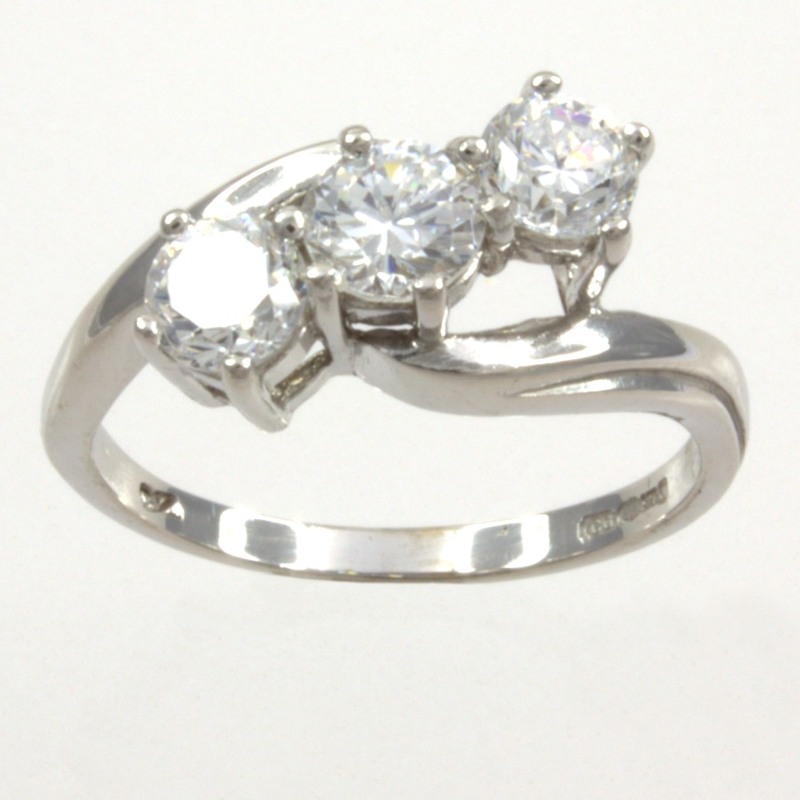 A stunning three stone ring. 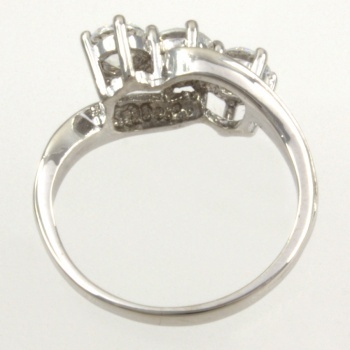 The round C.Z stones sparkle on the crossover 9ct white gold band. 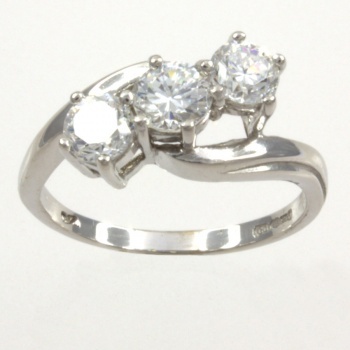 This is a beautiful ring, ideal for every occasion.